The annual cost of fraud in the UK has been estimated at £193bn - equal to nearly £3,000 per head of population - according to a new report. 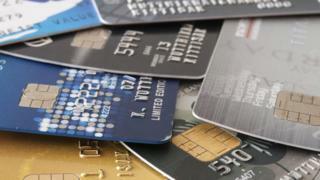 Business fraud accounted for £144bn, the study said, while fraud against individuals was estimated at £9.7bn. The last estimate - made in 2013 by the now defunct National Fraud Authority - put the cost of fraud at £52bn a year. Report author Prof Mark Button said that fraud was now on an "industrial scale". The study was produced by Experian, PKF Littlejohn, and the Centre for Counter-Fraud Studies at the University of Portsmouth. According to the Annual Fraud Indicator 2016, the biggest loss was due to procurement fraud - estimated at £127bn a year - which included the submission of false invoices and the awarding of contracts in exchange for bribes. The fraudulent cost to charities was estimated at £2bn per year, while mortgage lending losses were put at £1.3bn a year. Insurance sector fraud cost £1.3bn a year, tax fraud was estimated at £15.4bn every year, while fraud losses in the NHS were £2.5bn. The largest fraud carried out against individuals was identity fraud, estimated at £5.4bn a year from about 3.25 million victims. However, the report said the true scale of fraud in the UK may still not be known. "Despite a broadly conservative and prudent approach being adopted in this report, it is likely annual fraud estimates are being under-evaluated," the report said. It added: "Fraudsters are fast, inventive, adaptable and willing to quickly exploit new opportunities. "The speed and shape of global innovation, along with the growth of the Internet of Things, make on-going investment in the development of improved fraud detection systems ever more important." City of London Police Commissioner Ian Dyson said the findings illustrated "the cost of fraud to business, individuals and the public sector is vast and continues to rise". "What the report can't illustrate is the human cost of fraud which ruins lives and blights every community in the UK," he added.